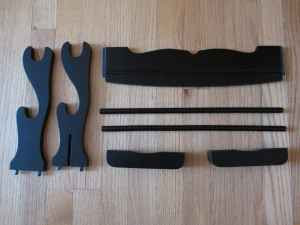 There have been some negotiations with the seller of the Sword / Katana Rack (Black). Their emails are labeled SKRB, ours FOCL. Haha, epic fail, you couldn't touch my Katana. The Katana's were obviously just to show how its meant to be used. And I train in Tsuruoka Shotokan, and would destroy you. Fail??? Do you mean fail as in "I have failed by letting an eighth level Shoa Lynn master see my inferior katana"? Wow, you really are obsessed with yourself. I hope one day you'll learn that its not about being bettter, but growing up may be a bit too much to ask from you. Fear is a natural response. Please send a video demonstrating your abilities.